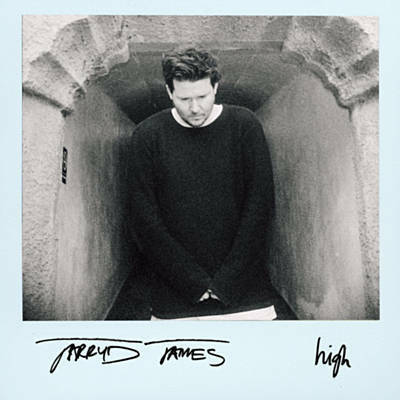 Australian Pop artist Jarryd James has already had a lot of success in his own country with single Do You Remember reaching number two in the ARIA (Australian charts). Following this, he's released debut album High - does he have a hit album on his hands, not only in Australia but the rest of the world? James' debut begins with '1000X', a collaboration featuring New Zealand hit duo Broods (I reviewed their latest album, click here to see) and that is definitely a great potential single choice, as it brings attention to both artists and Broods complement the song perfectly - a good duet there. It starts off well, but the rest of the album is a bit lacklustre (especially after that performance) as each of the other tracks are trying to sound too much like other Pop artists in its' own way. It's a very noble effort by James to be unique, but I'm afraid it hasn't worked. This is especially evident in 'How Do We Make It' as the opening four bars sounds very similar to Sam Smith's 'Stay With Me', but overall the song is not of the same quality that it's trying to imitate. James has a bit of work to do before creating the perfect record. You can check out High on iTunes, Spotify and Amazon (UK | US). Follow Jarryd on Twitter, Facebook and Instagram to see what he's up to. Don't forget to see what I'm posting by following me on Snapchat (akjmusicblog) and Facebook.